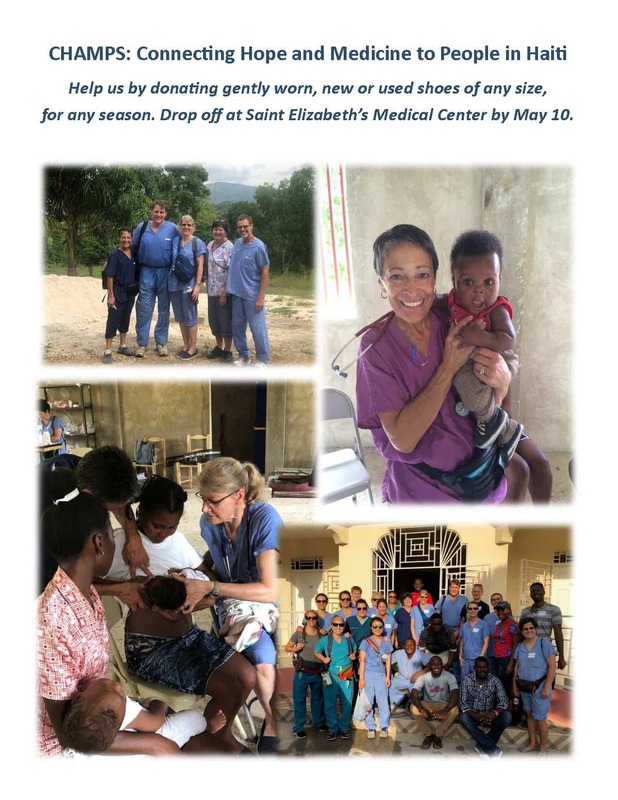 St. Elizabeth’s is looking for gently worn, used and new shoes to donate to Champs: Connecting Hope and Medicine to People in Haiti. Drop donations of gently worn or new shoes of any size or season into the collection bins located in the lobbies of Saint Elizabeth’s Community Clinic, Medical Center, and Health Care by May 10th! For more information, contact Sharon Riester at 651-565-5600.